1. 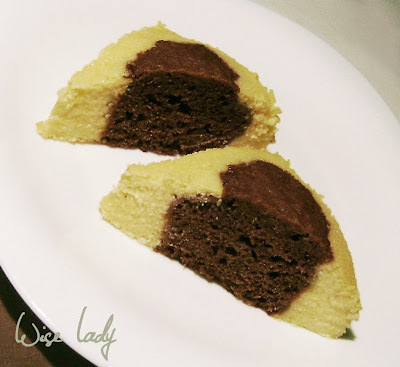 Mix the flour, cocoa and baking powder in a bowl. 2. Mix up eggs, sugar and butter with mixer in another bowl. Add the dry ingredients to the mixture. This is the dough for the spots. Mix sugar, butter, eggs with mixer. Add pudingpowder, vanilla, lemon, salt and curd cheese. This is the curd dough. 1. Preheat oven (200 celsius degree). 2. 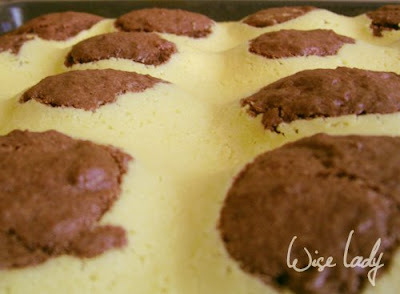 Put the cocoa dough spots first into the oven pan with a tablespoon. My oven pan is 30x30 cm, so I made 16 spots. 6. Pour curd dough around the spots carefully. 7. Bake for approximately 20-25 minutes. 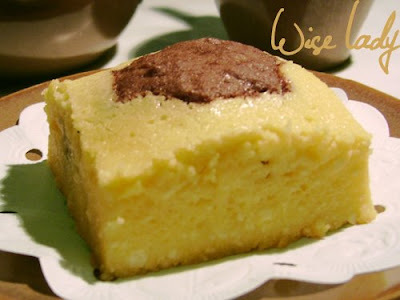 0 megjegyzés ehhez: "Spotted curd cake"